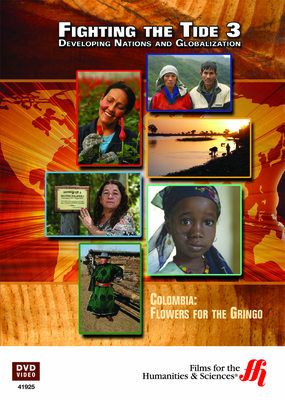 Takes a look inside one of the least well known as well as most misunderstood indurtries in Latin America, the booming flower trade in Columbia. It is little known as opposed to some of the country's more controversial troubles, misunderstood in light of the contradictions of the trade. This DVD sheds light on that business, its bright rays of hope as well as its dark underbelly. A thorough examination of the Colombian flower trade, one rich in promise as far as the higher standards of living offered its workers, but still negatively influenced by greed and coruption. Unfortunately, caught in the middle is the workers, who strive to improve their lives but all too frequently turn into the victims of this exploitive trade. This film features interviews with labor activists who work tirelessly to improve the lives of workers, often in the face of corporate giants.